We were asked to create a brand identity that appeals to pet parents, who treat their animals like one of the family. The pet food category can be baffling for consumers, but our straight forward, personality driven design cuts through the noise of too many complicated messages. 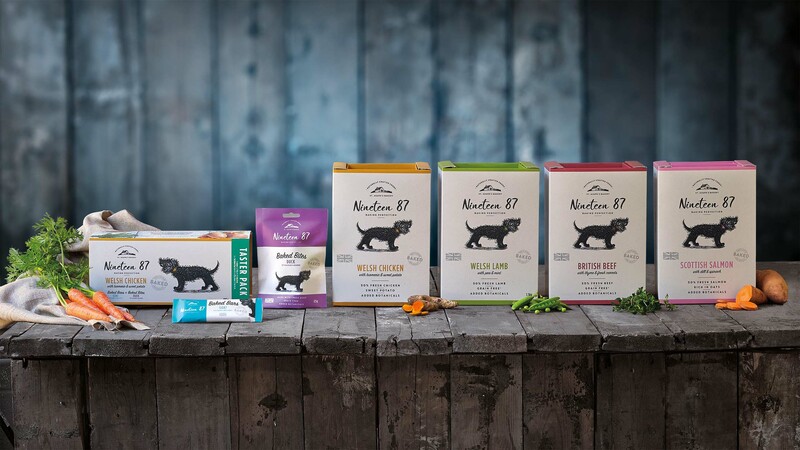 Inspired Pet Nutrition asked for our help with launching a new brand of premium pet food which is aimed at the discerning pet parent. 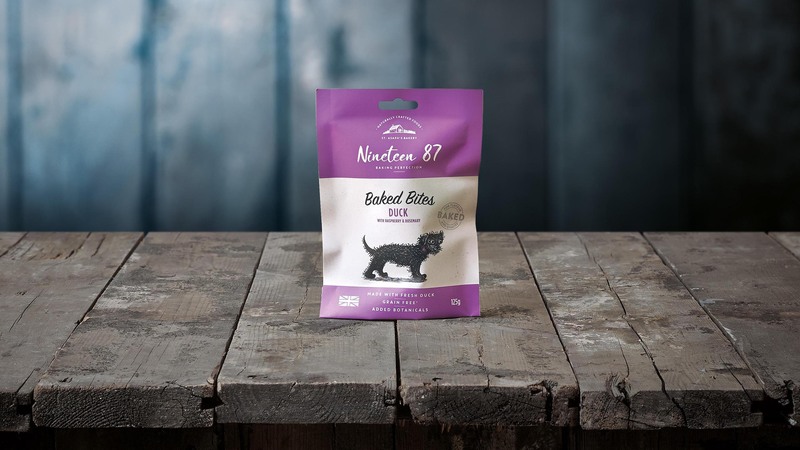 As a new brand Our challenge was to create a brand identity which reassures by educating consumers on the product benefits of ‘baked’ pet food, but also has excellent brand presence in a crowded market. Our aim was to secure listings with specialist and independent pet shops. 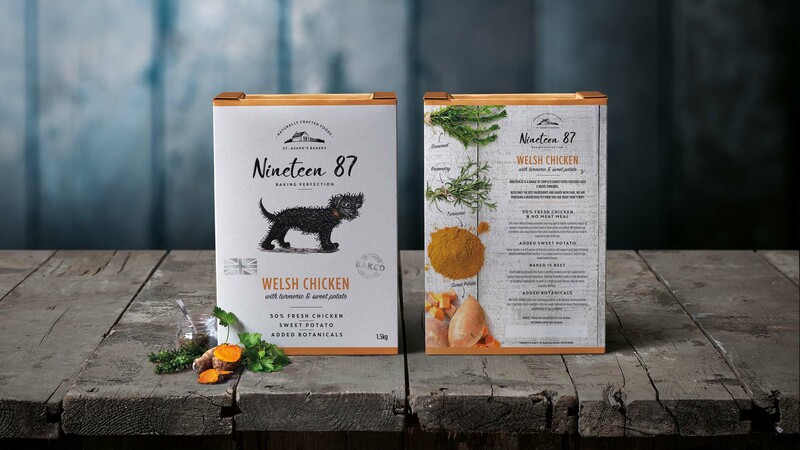 We identified a gap in the market for a super premium pet food brand which remained accessible to consumers and so Nineteen87 was launched. 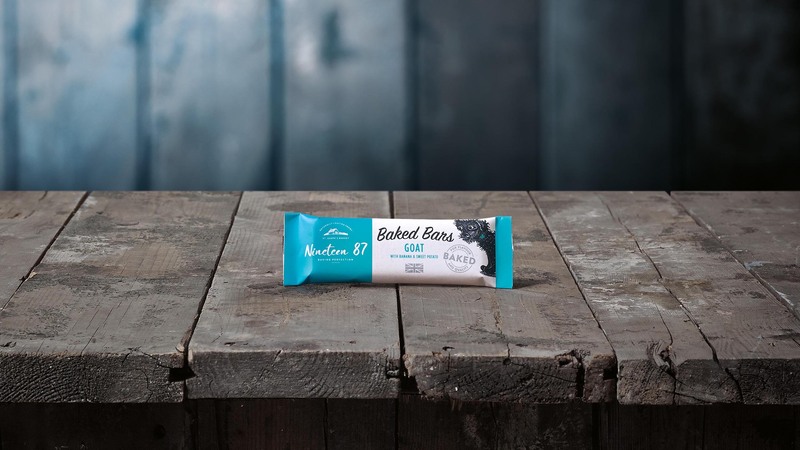 Positioned on authenticity portrayed with a warm and engaging personality…hand crafted type, neutral colour pallets, innovative structural packaging and on pack product stories give this brand a real point of distinction.